In this section, clients will be assigned their personal online planning account. 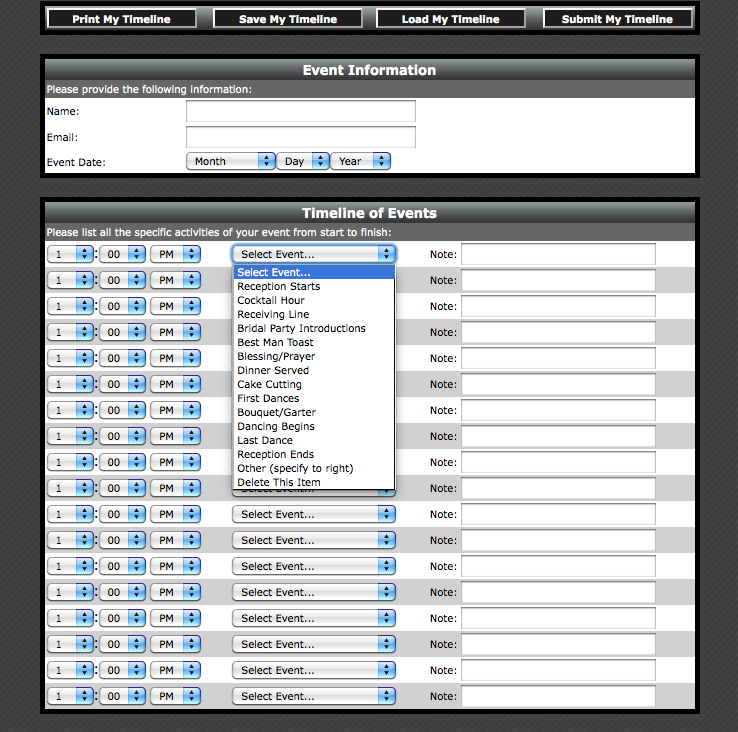 Clients will have the ability to access a Planning Form and Event Timeline. 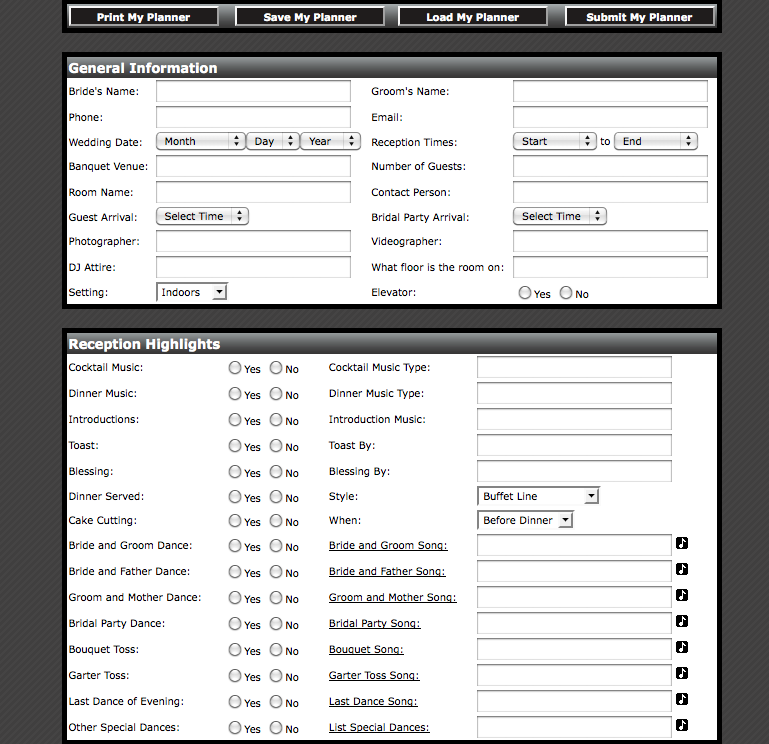 Once the forms are completed, they can be printed and forwarded to all of your vendors. 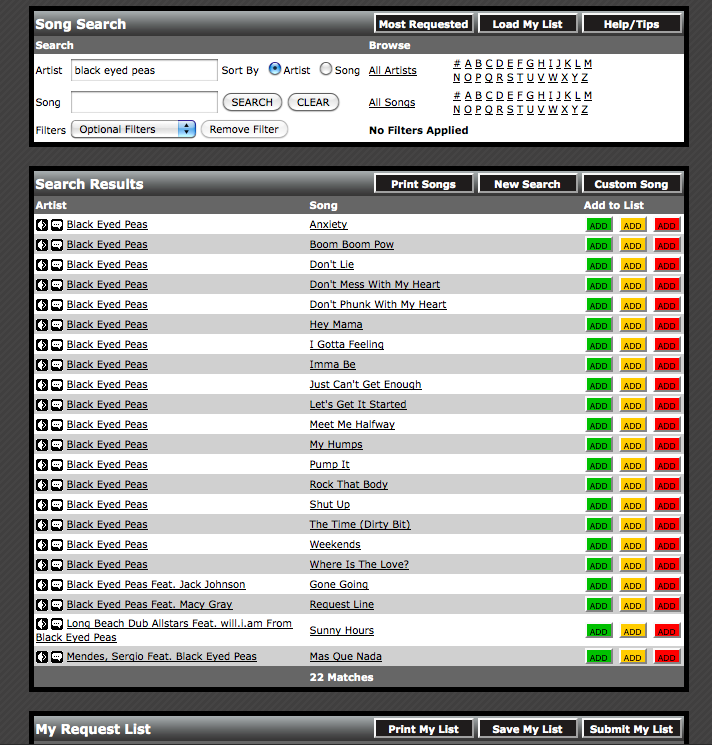 There is also a Music Request section where you can create a playlist of music that you would like to hear and what you prefer not to be played.